Offering an outstanding combination of quality at competitive pricing ProGrip rivet nuts offer the most cost effective method of installing a full depth thread in thin gauge materials, ProGrip Rivet Nuts come in a variety of forms. 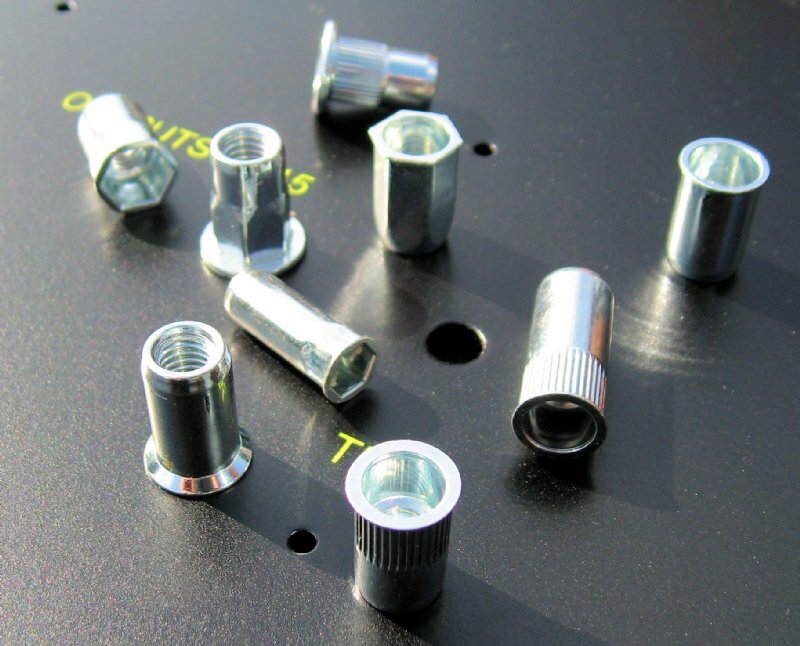 Ideal for use in drilled or punched holes, ProGrip Rivet Nuts are installed from one side making them especially suitable for tube, box sections or tight corners. A comprehensive range of inserts is available in a large range of metric thread sizes to suit most applications. The standard low profile insert gives a near flush finish in sheet materials without the need to countersink the hole. To increase torque to turn values, especially in softer materials, splined inserts may be used. Where a high push out load is applied such as on a screw in foot large flange inserts will be the most suitable. 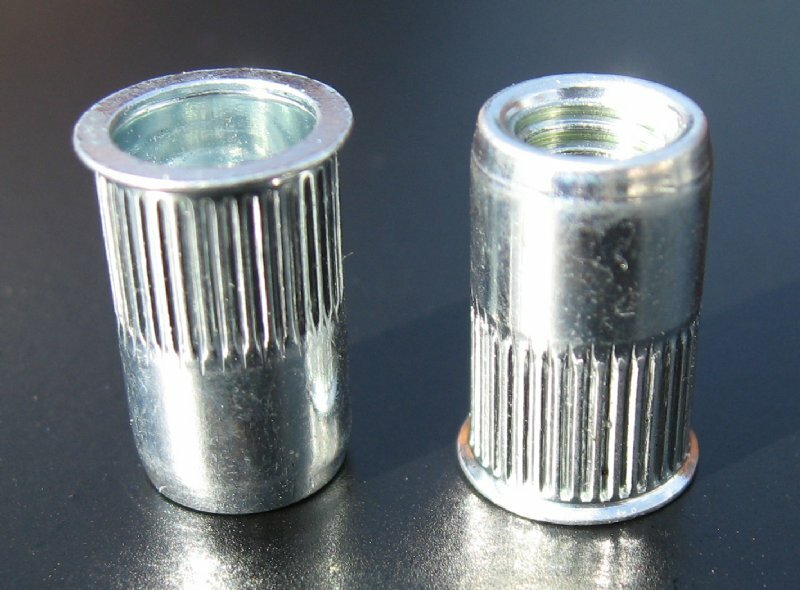 Hex inserts can be used where corrosion of the insert or mating bolt could result in the threads binding and making the insert turn if the bolt head is forced. A typical example would be on the underside of a car for instance. Closed end rivet nuts can ensure that screw drivers or other tools cannot be poked into electrical items and cause damage. Whilst their use will obviously help to resist fluids from passing through the thread these inserts do not create a water tight joint unless additional sealing materials are used. 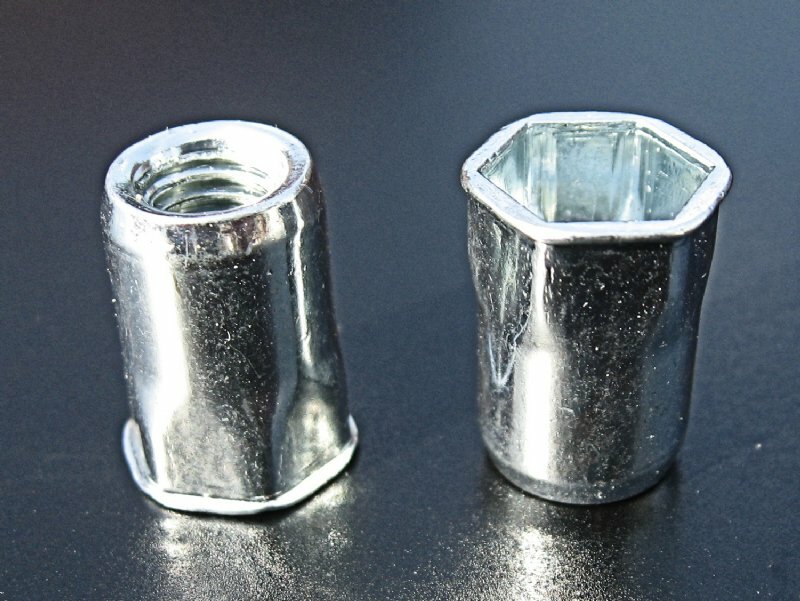 Browse these categories under "Zygology ProGrip Rivet Nuts"
300 grade stainless steel rivet nuts are suitable for most applications where corrosion resistance is required. 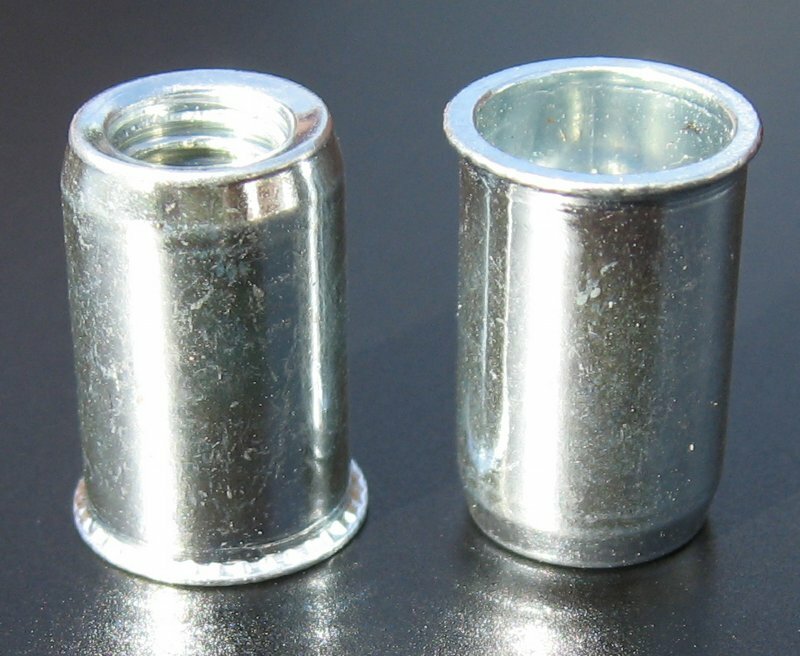 Zygology stainless steel ProGrip rivet nuts are suitable for marine and exterior applications. Plain and splined body styles are available. The standard low profile insert gives a near flush finish in sheet materials without the need to countersink the hole. To increase torque to turn values, especially in softer materials, splined inserts may be used. In harder materials, the increased bearing area of plain-bodied inserts can give better results. 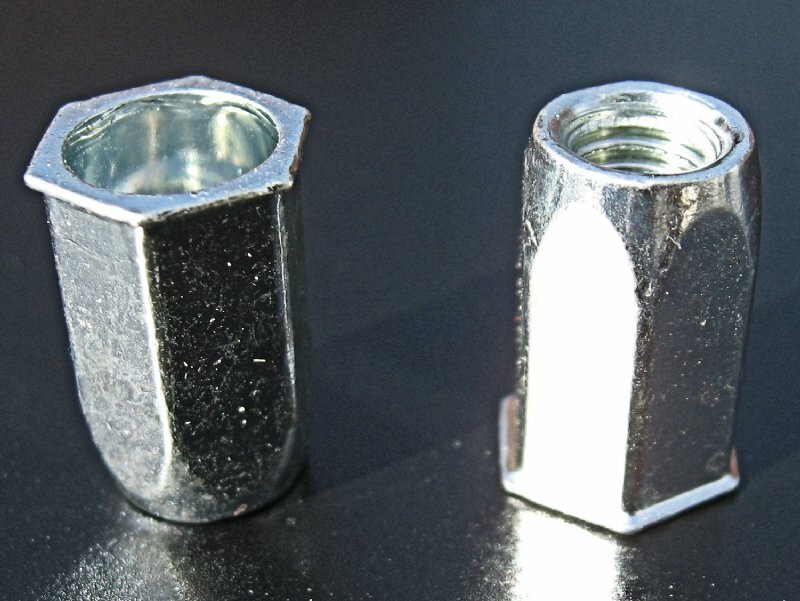 Hex rivet nuts are suitable where corrosion can cause the mating bolt to bind onto the thread when being removed. They also offer increased resistance to turning should the mating screw become cross threaded.